Evelina Sinkeviciute, studying on the Masters in Innovation, Creativity and Leadership (MICL) is also Community Manager at SmartUp. 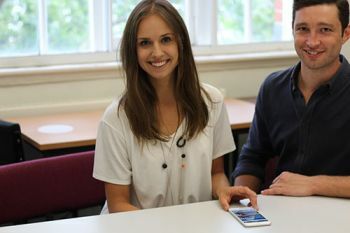 Evelina Sinkeviciute, a student on City’s Masters in Innovation, Creativity and Leadership (MICL) is also Community Manager at SmartUp app – the virtual mentor for startups. SmartUp, tailored to the needs of anyone seeking advice and guidance for developing their business venture, contains business simulations, insights, case studies, quizzes and a smart virtual mentor system. 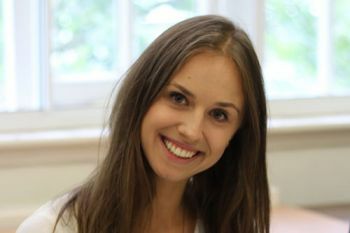 Evelina, who joined SmartUp in 2014, enjoys studying on the MICL. Originally from Lithuania, she is a Sociology graduate of Kaunas University of Technology and has taken summer courses at Stanford University. The insights she has picked up while studying at City reinforce the innovative aspects of her work with SmartUp: “Many of the students on the MICL turn their ideas into cutting-edge businesses. My friends and I on the MICL are provided with an empowering environment to pursue our dreams”. The idea behind SmartUp is the creation of a platform to identify, nurture and inspire future entrepreneurs on a global scale. SmartUp's co-founders are successful entrepreneurs from the Founders Forum network – Brent Hoberman (Co-founder of Lastminute.com and made.com), Frank Meehan (VC, SparkLabs Global) and Henry Lane-Fox (Co-founder of The Browser). SmartUp is driven by a gamified global leaderboard and offers rewards such as free mentoring with a member of the Founders Forum network. The app was launched on the App Store in June 2015 and was immediately featured as one of Apple’s Best New Apps in 64 countries. It also appears across various collections such as the ‘Business Category’ on the US App Store, ‘Apps for Developers’ and ‘Grow your Career’. SmartUp has been featured in publications such as TechCrunch and Medium and is quickly coming to the attention of would-be entrepreneurs. Part-time places are still available on the 2015/2016 MICL.